Interested in automatic waterers for your farm or ranch? With them, you can give water on demand to your animals. A few benefits to using automatic waterers include: reducing water evaporation, less water waste, and they help prevent animal dehydration. 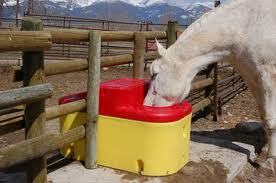 We supply automatic waterers for livestock, horses, swine, sheep and goats by Ritchie Industries.